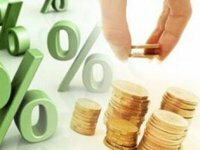 Ukraine's GDP in 2018 is expected to grow by 3.1% amid 9.5% inflation (December over December) and the growth is expected to slightly slow in 2019 to 3.0% amid 7.4% inflation, according to an updated consensus forecast released by Ukraine's Ministry of Economic Development and Trade on Monday. The growth of the Ukrainian economy is expected to accelerate to 3.1% and 3.9% in 2020-2021, respectively, it said. In their earlier forecast in April 2018, experts projected an increase in Ukraine's GDP by 3.2% amid 9.7% inflation in 2018 and by 3.1% amid 8% inflation in 2019. According to the April forecast, the economic growth was projected at 3.3% in 2020 and at 4% in 2021. Interviewed by the Ministry of Economic Development and Trade, analysts also expect the weakening of the hryvnia by the end of this year to UAH 29.6 per U.S. dollar and further to UAH 30.6 per U.S. dollar by the end of 2019. According to their estimates, insignificant weakening of the national currency will continue in the next two years: to UAH 32 per U.S. dollar by the end of 2020 and further to $33.2 per U.S. dollar by the end of 2021. The minimum and maximum estimates for the forex rate are UAH 29.4 and UAH 34 per U.S. dollar in 2019, respectively; UAH 30.2 and UAH 37 per U.S. dollar in 2020, and UAH 30.7 and UAH 40 per U.S. dollar in 2021. As was earlier reported, economic growth in Ukraine in 2017 accelerated to 2.5% from 2.3% in 2016, while inflation accelerated to 13.7% from 12.4%. In the second quarter of 2018, Ukraine saw a 3.8% increase in its economy against 3.1% in the first quarter of 2018. Ukraine's central bank forecasts that the country's economic growth will accelerate to 3.4%, but will slow to 2.5% in 2019, but speed up to 2.9% in 2020. The government's draft budget for 2019 is built on 3% GDP growth amid 7.4% inflation.